An ETF is an exchange-traded fund. However, there’s a variation of ETFs known as ETNs, or exchange-traded notes. If you are interested in ETFs, then you should know about ETNs as well. ETNs are structured investment products that are issued by a major bank or provider as senior debt notes. This differs from an ETF which consists of an actual security or sometimes commodity or currency derivative such as futures, forwards, and options. When an investor purchases an ETN, he or she is purchasing a debt product similar to a bond. The terms of the debt contract are determined by the structure of the ETN. When an investor purchases an ETF, he is purchasing an asset like a stock or index. Because ETNs are backed by a bank with a high credit rating, they are pretty secure products. However, the notes are not without credit risk, just a lower level. As of today, there are four major types of ETNs. According to Barclays, the premier ETN provider, there are commodity, currency, emerging market, and strategy ETNs. Commodity ETNs include categories such as energy, oil, and metals. 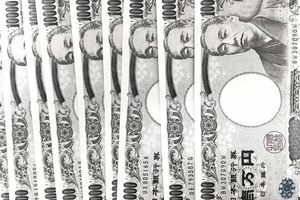 Currency ETNs include the euro, the British pound, and the Japanese yen. An example of an emerging market note is the India Index ETN and there are strategy ETNs linked to the performance of the S&P 500 BuyWrite Index. Just like ETFs, ETNs have a tax advantage. Any profits on the purchase or sale of the note are not realized until the actual closing transaction, which is when capital gain taxes are incurred. However, in the case of commodity ETFs, the tax advantage isn’t as prevalent since capital gain taxes are incurred when rolling commodity futures. In the case of commodity ETNs, that is not an issue. Do ETNs Have Tracking Errors? The short answer is no. ETNs are treated as prepaid contracts, which eliminates any tracking errors. An investor who owns a note is promised a contracted rate of return by the issuing bank. With an ETF, the funds are designed to emulate an index (without trying to outperform) however, it does not always go according to plan. That difference is known as an ETF tracking error. ETNs and ETFs both have certain risks, however, the risks differ. The biggest risk of an ETN is the credit risk. While an issuing bank like Barclays has a high credit rating from Standard and Poor’s that does not mean it is infallible. Big banks have tumbled before. So if something happens to the issuing bank, your ETN can default. The other risk is associated with liquidity. There are a lot more ETFs in the investing world than ETNs. At least as of now. That means trading in and out of ETN positions may not be as easy. If you need to close or open an ETN, there may be some difficulty due to lack of trading volume. Before you make any investment, we stress conducting your due diligence and thoroughly analyzing your research. One way to start is by watching how ETNs perform. Here are some ETNs you can keep an eye on. And keep in mind that while ETNs may be attractive, they do have their risks. As do all investments, so make sure you research each note thoroughly before making any trades. Watch how they react to different market conditions. Understand what is in each note, especially the leveraged and inverse ETNs, which typically contain derivatives. And if you have any questions or concerns about any ETNs on this list, be sure to consult a financial professional such as a broker or your financial advisor or planner. However, once you have completed your full due diligence, then good luck with all of your trades on these notes or any others.